Another plate set – this one featuring blue and gold, and a bit of flashy lightning. 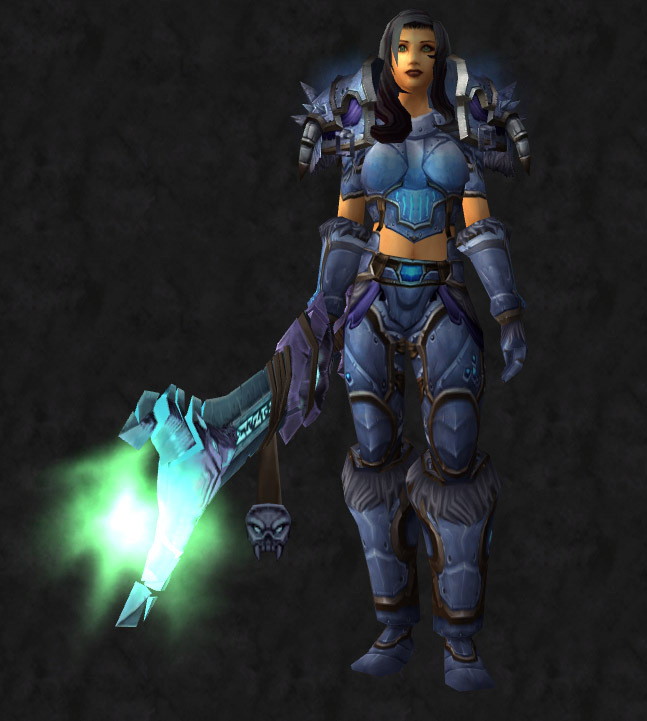 I feel like my warrior should go frolic in snow and slay snobolds in this set – fitting, I believe all of it comes from the WOTLK expansion. It’s a light blue set with “fur” trimming and a bit of a chill. (Well…except for the exposed skin.) 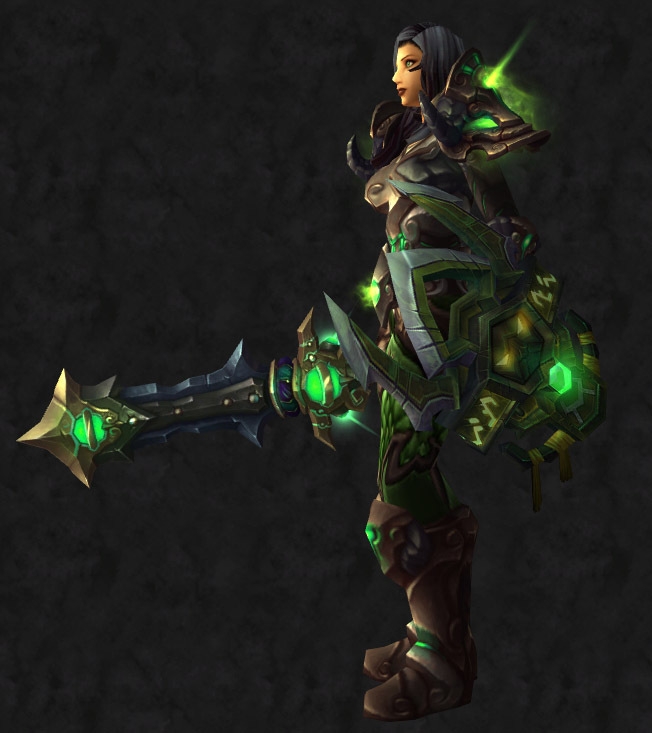 I believe this set can be used by all plate classes. This set can be used by any plate wearer. 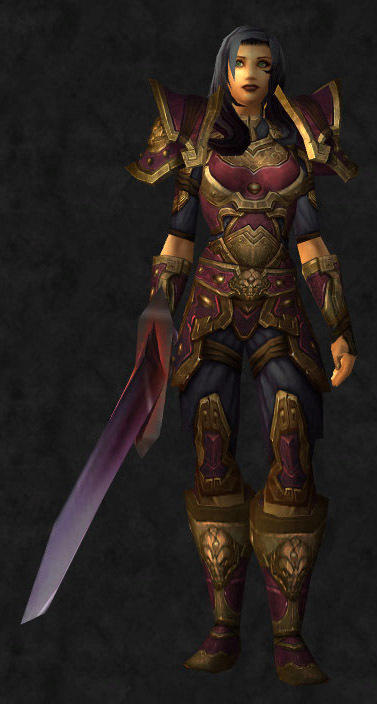 The following set is a beautiful set for warriors, especially those of us that may like a more feminine feel to our outfits. (At least in my opinion!) As a day to day set, this one is one of my most favorite ones, and there are several ways to get it. One of the easiest ways, in my opinion, is through the Timeless Isle. 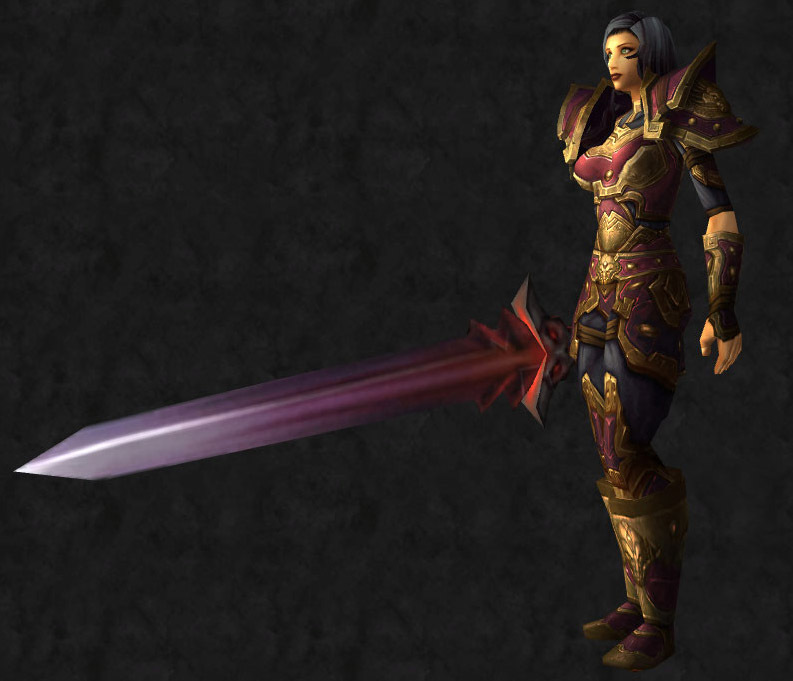 You can get this set by speccing as a Protection Warrior, a Protection Paladin, or a Blood Death Knight. 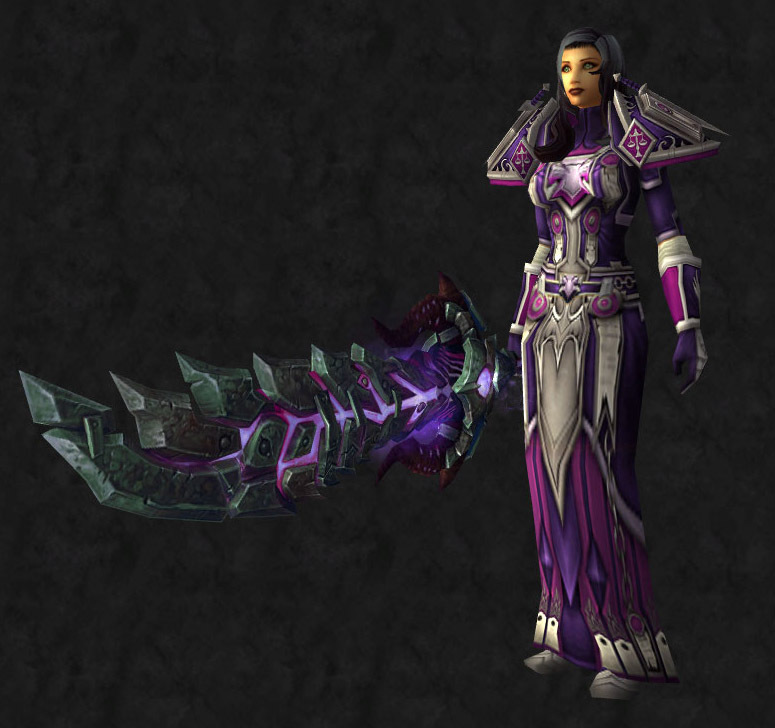 There are also ways to get this set through raiding – please see this link for other options. 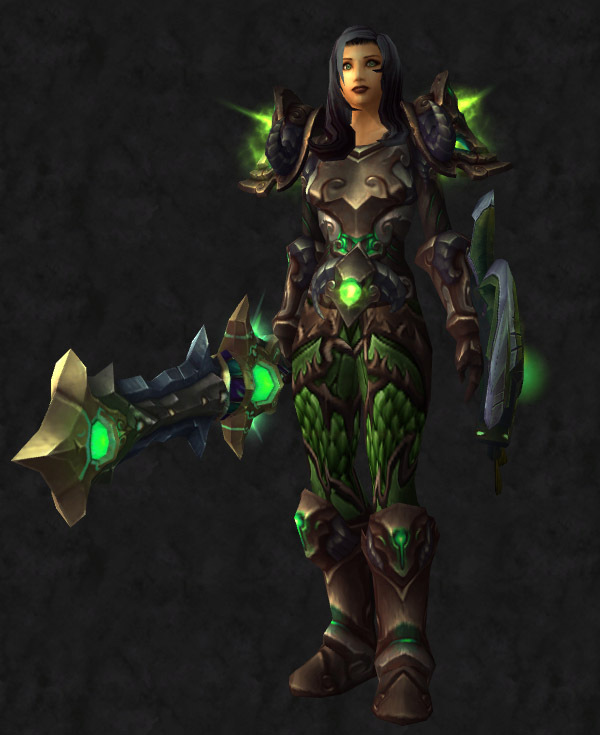 This set can be used by all plate classes. 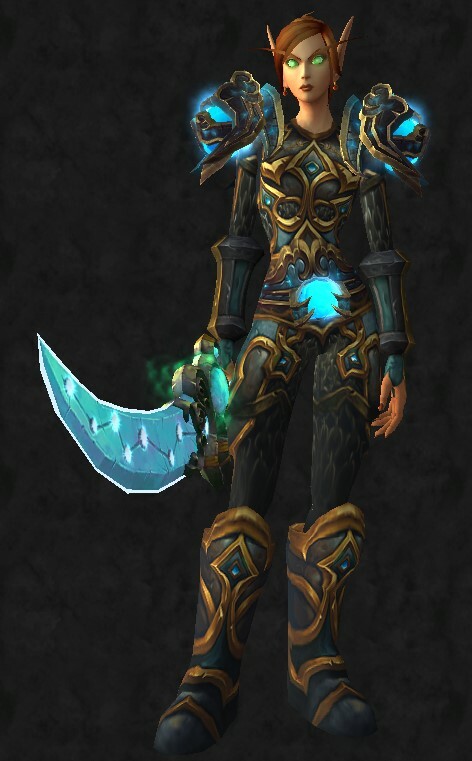 Elder Tortoiseshell Gauntlets (Created through Timeless Plate Armor Cache on the Timeless Isle). Another option is the Ghost Reaver’s Gauntlets (Created through Blacksmithing). 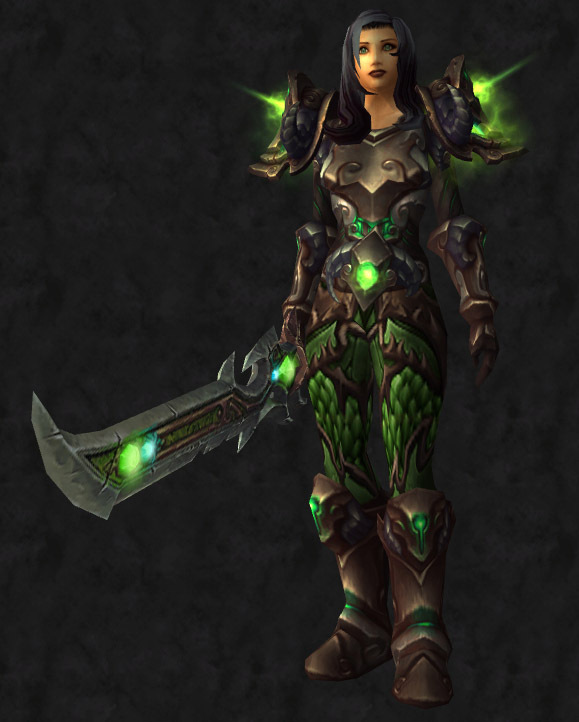 This particular warrior set I am a huge fan of. There’s something so nice about the colors mixing and a dark-colored rainbow effect. 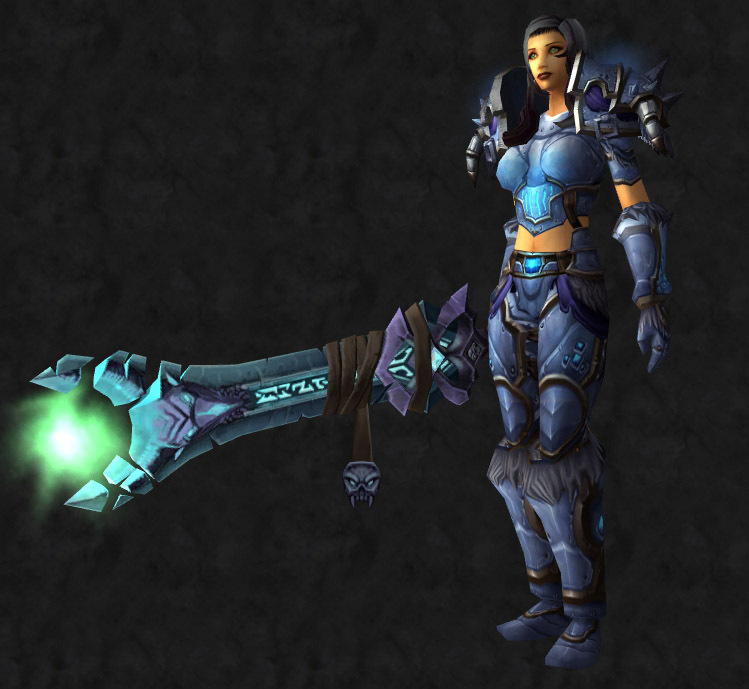 This is a set useable by paladins, warriors, and death knights. Or we pretend to, at least. Right now, we’re too busy stealing Paladin lookalike sets! 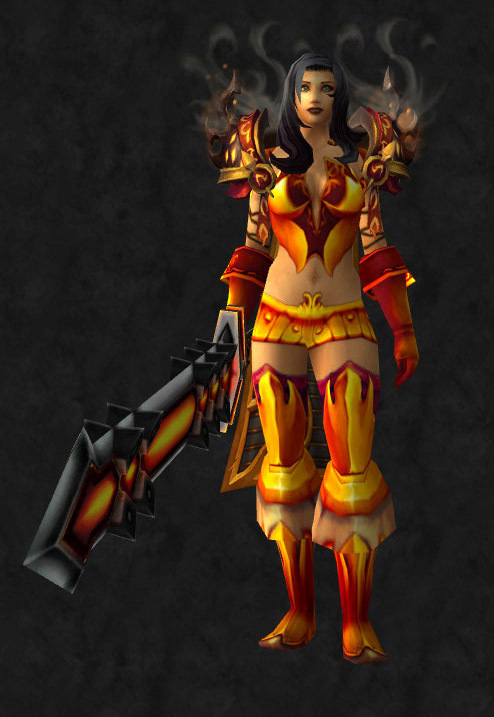 This set caused me so much trouble, just because I couldn’t find a good hairstyle or color that worked with it. Until I set it up like this. 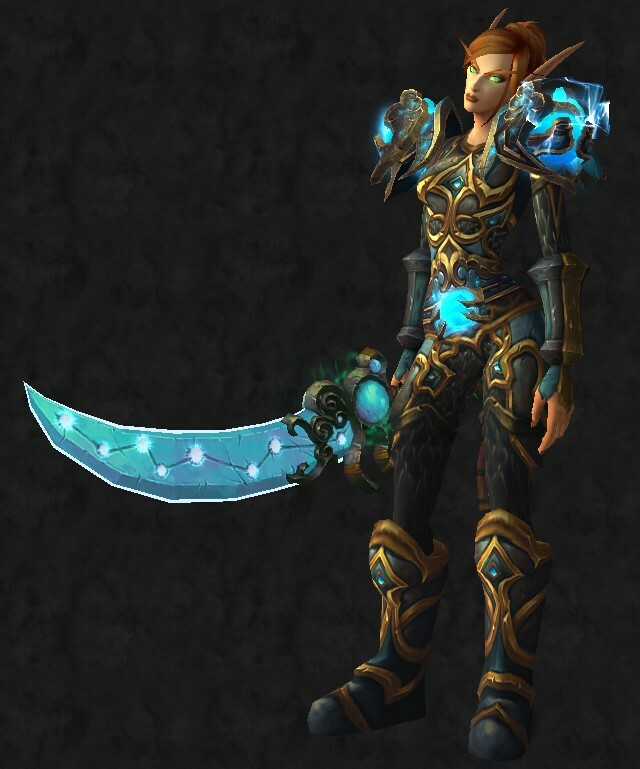 Yes, my warrior was originally as blonde as my warlock. 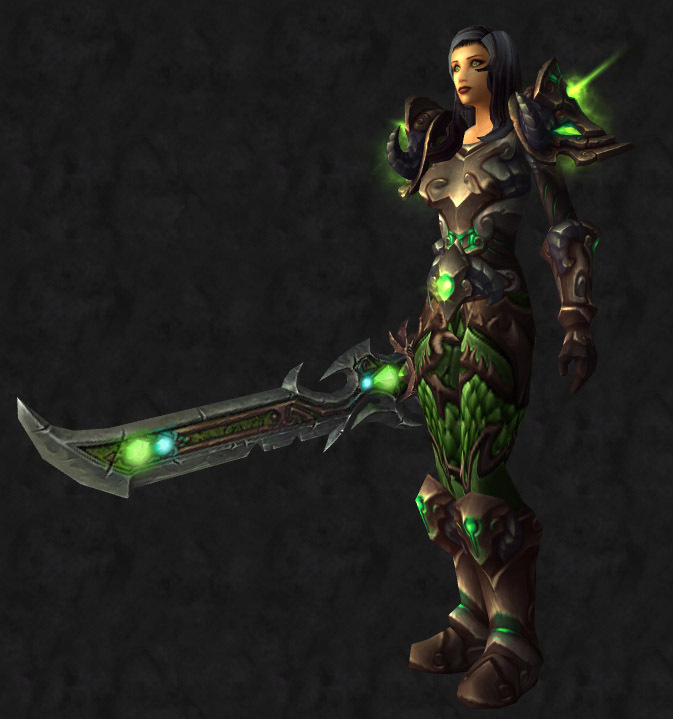 This set is available to paladins, warriors, and death knights. As promised! 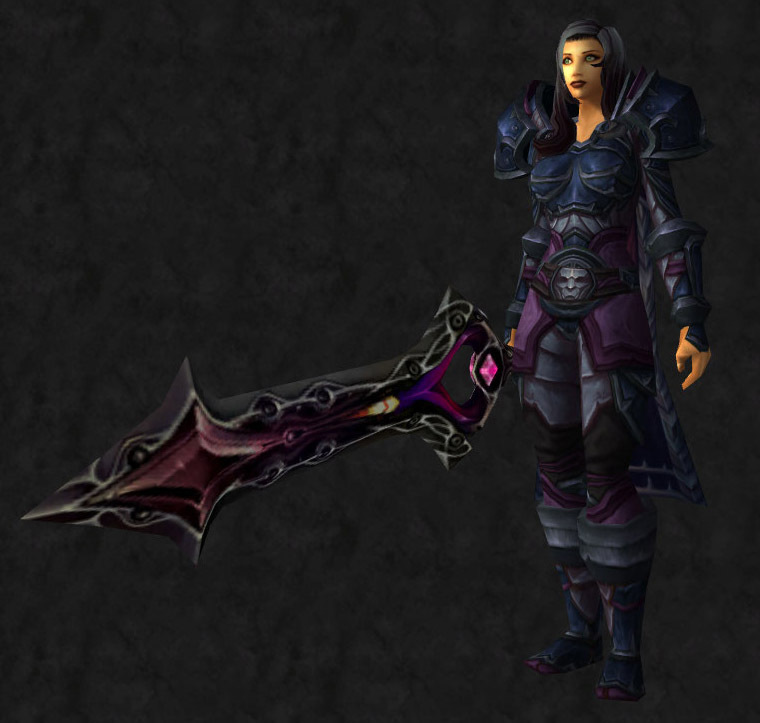 I have spent quite a bit of time researching and tweaking different mogs for several of my alts – Crystallina (warrior), Xvetlana (rogue), and Averîana (hunter) in particular. I stayed up late taking screenshots in the MogIt viewer just to have something to post for everyone this weekend! 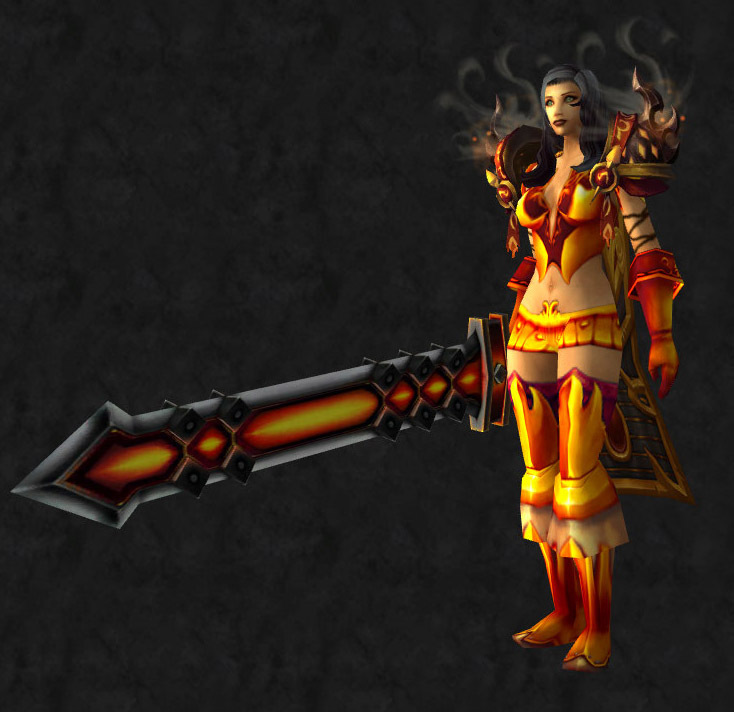 Any plate class can use this transmog.